from The Graphics Fairy for quite awhile. 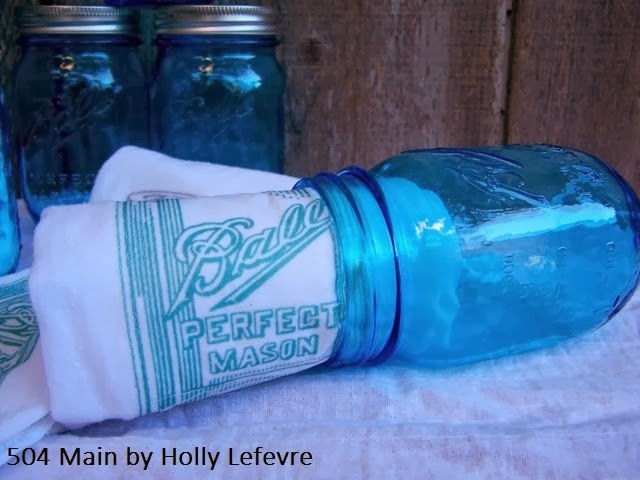 who doesn't love mason jar (no one I know!)! and I made a few more for simple gifts and hostess gifts. but look like they do (the best kind of present!)! or come up with your own presentation. they are sure to bring a smile to the recipients face! I always wash and dry my towels first. They usually need to be pressed as well. 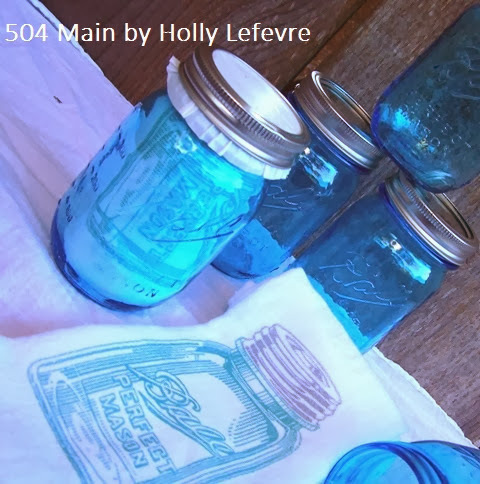 Download the mason jar graphic. 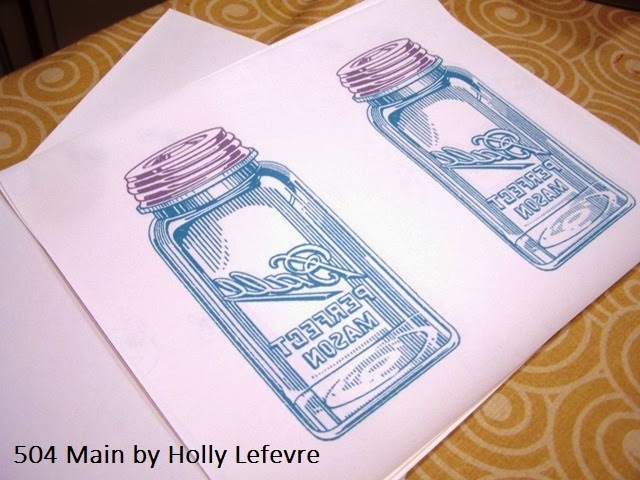 I am able to get 2 - 5 x 7 images on one sheet of transfer paper. Under "Print Options," MAKE YOUR IMAGE "MIRROR" - YOU WANT THE WORDS TO BE BACKWARDS WHEN YOU PRINT IT...BECAUSE WHEN YOU IRON, YOU PLACE THE IMAGE FACE DOWN. THIS IS IMPORTANT!!!!! Fold the towel in half, and if desired press a crease in the center. Cut around the jar, as close to the image as possible. I do not like to leave a lot of "blank" transfer paper around the edges...trimming makes for a cleaner look. You should refer to the package directions...but here is how I do it. While the image/paper is still warm, being in the bottom corner and peel the paper backing off the image. 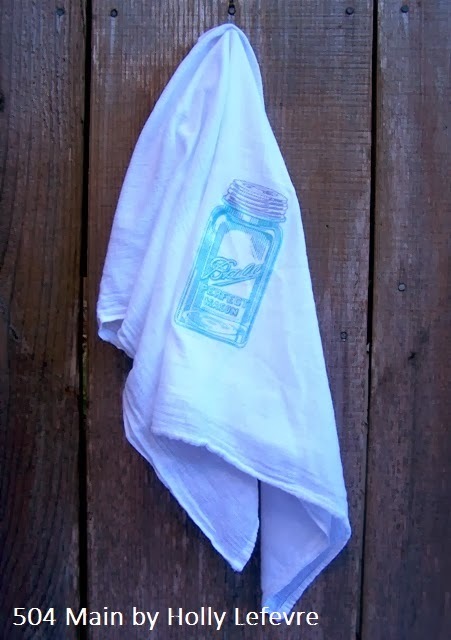 I make these towels all the time, and while, over time, the image may fade a bit (it takes a long time), I have not ever had an issue with the image withstanding washings and regular use. Simple as that all done. (with the image face down) roll the towel, kind of tightly. Simply place it in the jar, and put on the lid! 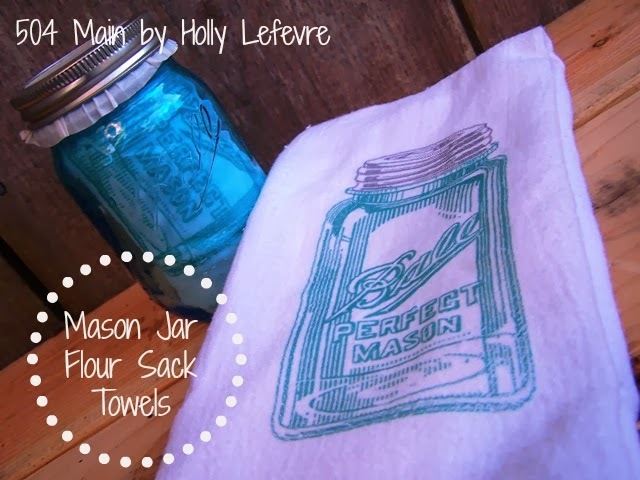 These cute little towels make a great gift and are so easy to make, and cost about $6 when packaged in the mason jar! Do you have any go-to gifting ideas? Thanks for sharing your wonderful tutorial! Super cute, Holly! Pinning this to share in a DIY Gifts post I'll be doing later this week! Really like this idea and I might just have to try it for some of my gifts this year. Thank so much for sharing and have a great week. I love these, Holly! Thanks for the tips on where to find the flour sack towels too! This is so sweet Holly!! What a perfect gift for a Favorite Things party! Oh my goodness these are awesome! Love them. I have tried this about four times and my image always comes out green on my towel. It prints out the correct blue color but am puzzled why the color change? I used the same product, image and even have the same iron as you but am not getting the right result. Any ideas? Help! :) Thanks!! Shari, I tried to Email you but could not find an email address. I honestly have no idea why yours are not working. I did no color adjustment to the graphic or anything. When I did these and have made over 30 without a problem. Let me think...I am totally puzzled but some time for me to think about this issue and I may come up with an answer.